It is time for our annual Christmas party! This year the event will be held at Southern Tre’ on the square. Everyone is invited and encouraged to attend! We look forward to seeing you all there! 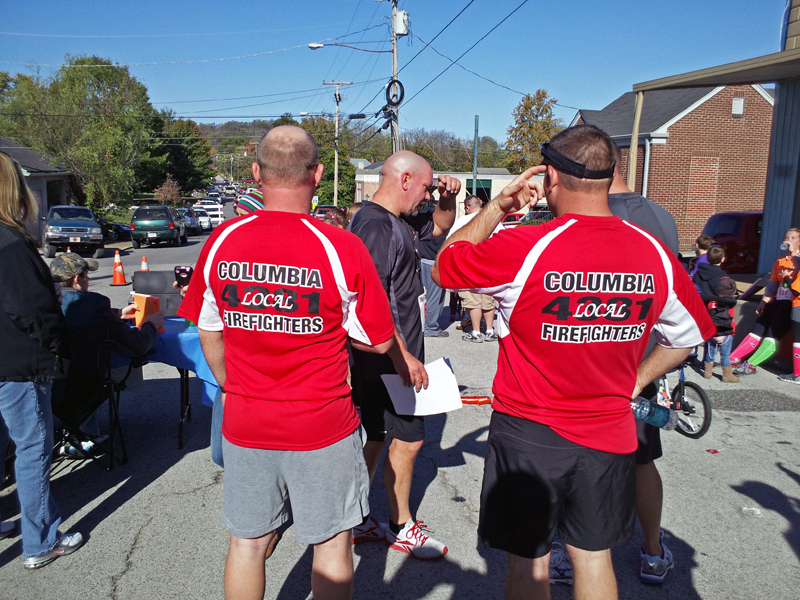 The IAFF Local 4381 will be making a donation to the City of Columbia Firefighter Park. All Members are encouraged to vote on which level they agree to donate. This poll will be open until 10/26/2018 at 17:00. Please, all members, do to the online poll and place your vote as soon as possible. Attatched is the different levels that are available. Mount Pleasant High School Bass Team was well represented at the Kentucky Lake Tournament. The team brought 9 boats and 6 of them weighed fish with the largest taking 13th place. They want to thank IAFF Local 4381 for their continued support. This Friday morning, October 21, 2016, five members of the Columbia Firefighters Association Local 4381 participated in the Firehouse Expo Memorial Stair Climb in Nashville TN at Nissan Stadium. The members raised over $500 to support the National Fallen Firefighters Foundation. Each member who participated was given a badge with the photo and name of a firefighter who perished in the attacks on the World Trade Centers. Upon completion of the stair climb each participant announced the name of the person they were climbing to honor and rang a bell in their honor. The climb was proceeded by a very solemn ceremony in which the honor guard from Franklin Fire Department presented the colors with the Nashville Fire Department Drum and Pipes Corp played Amazing Grace. An invocation was given by the Chaplain of the Murfreesboro Fire Department. The stair climb was conducted in the lower bowl of the stadium and was 110 flights of stairs which is representative of the climb the firefighters from FDNY made on 9/11. Further information can be found at www.firehero.org. The attached photo is of the members who participated in the climb. Pictured from left to right are Driver Ben Pitts, Captain Chad Powell, Captain Doug Kinnard, Firefighter Josh Wall, and Captain Brian O'Cain. We would like to congratulate the following members for their victories in the recent election. These gentlemen will take office February 1st. Please join us in congratulating them. 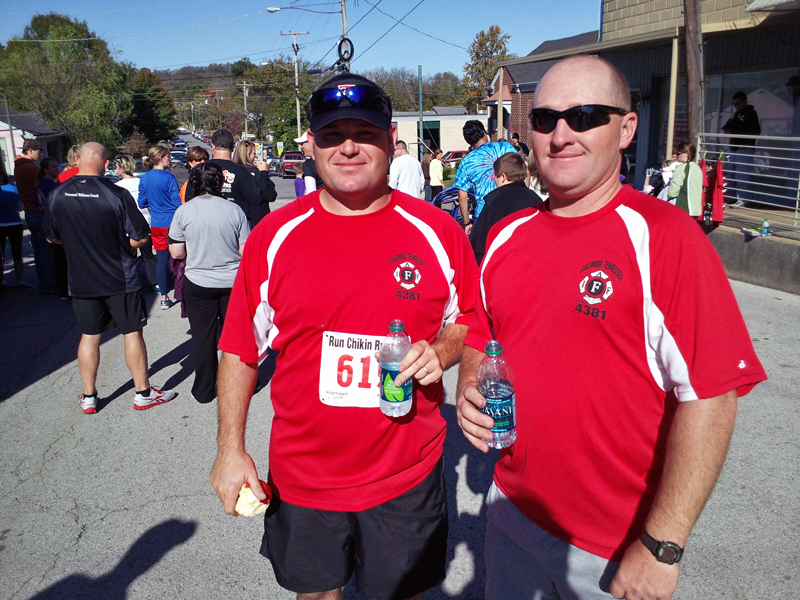 Local 4381 members participate in the Scarecrow Festival 5K run located in Mt. Pleasant TN on Saturday October 22nd. Photo's taken just after the completed 5k. September 23rd 2011 Local IAFF 4381 Cleans up their adopted area on Nashvile Hwy 31. Located just north of CFD Station #3, 7 Member participated. Thank you to those who participated. From Left to Right in Photo.